My summer plans are a product of my choices and I’m choosing to LEARN. Fortunately there are many opportunities for me to do that. In a way it’s my own self directed masters degree in ed tech. I wish I were an accredited university capable of awarding myself a degree, because I plan to earn it. At a minimum I’m scanning twitter and various blogs daily (okay several times daily) for the bits and pieces that flow into my instapaper and make up the bulk of my professional ed tech reading. Then I get cozy with my ipad (loaner from school) and read through those, learning, emailing links to colleagues or students, marking favorites, retweeting the best of the best and sometimes adding the link to my class facebook page. Then there will be three days on digital literacy with the San Diego Area Writing Project. I hope to learn more about podcasting and other digital student products that are far outside my normal tech comfort zone. I applied to the Google Teacher Acedemy in Seattle, for the end of July, but I won’t know if I got in until late next week. Please cross your fingers for me and if you have one minute watch my application video that shows just how motivated my students are when I'm not looking even three days before school got out. I was asked to be the “Digital Teacher Leader” for my school next year. This is a new position (my principal gave me a release period for this) that our Ed Tech department came up with to facilitate tech integration in classrooms. The district has been rolling out 1:1 for the last two years and there needs to be more site based support. I was planning to support my colleagues anyway, but it’s nice to have a title to go with it. The position also comes with four days of training in early August from Intel and ongoing training next year. During the rest of August I’m teaching five workshops for Ed Tech, assisting with a sixth and attending five more as a participant. I’ll learn more about video editing, one note, edmodo, Kurzweil, Activinspire. 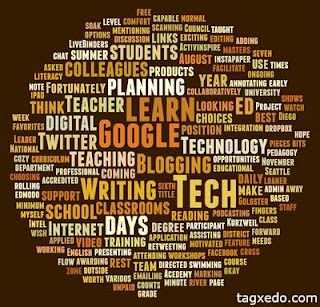 I’ll teach about Lan School, blogging, LiveBinders and Golgster, but I learn more about everything I teach, so the teaching counts as learning too. Then I must make choices. I’m presenting in November at NCTE (National Council of Teachers of English) about digital pedagogy with three colleagues I’ve never met. I was planning to show the teachers there how my students use the chat feature in a Google Doc to have a “discussion” about a text while annotating it collaboratively. I think I will still do that, but I think now that even more exciting options will be coming for and from my classroom and my colleagues classrooms. Lest you think my summer is nothing but educational technology, I will get eight days of curriculum writing with my grade level team. Fortunately I taught them to use dropbox. Then there will be three days of planning the PD for the rest of the staff with the admin team; looking forward to working more ed tech into that as well. Somewhere in there I may find seven free days in a row to get away to the river and soak my toes in the swimming hole where the only Internet is dial-up and therefore not worth mentioning. Nice video! I recognize many of those students. Hope you get into the Google Certificated program. I am lucky to be one of those people you share your learning with. Thank you for that. See you soon. Maybe you will get me to twitter again. You mentioned, "This is a new position (unpaid of course) that our Ed Tech department came up with to facilitate tech integration in classrooms." During my tech-grad class here in MI, we are learning that school districts are spending too much on technology software and hardware and they should focus "at least 30%" of its funds on training teachers on how to use all of this material. 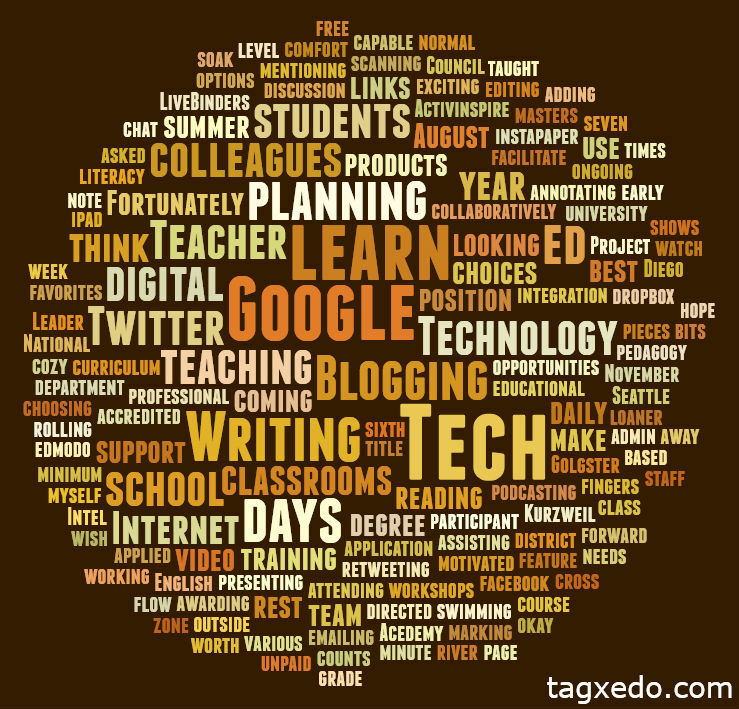 The training needs to be “adequate” training in integrating technology into the classrooms. If we don’t want our teachers to feel and have anxiety issues regarding technology integration…we should pay people for their professionalism. I understand, school funds are tight but if we keep putting money into technology and it is not being use to its full potential, in the long run we are wasting precious funds. As a result, we are hurting our students and ourselves. Great that you are doing this for your district but I think you should get some of that 30%! To G-mama I should clarify. The position of Digital Teacher Leader is not being paid for by the ed tech office, but my principal is giving me a release period to support teachers. (She gets it.) The district has spent a great deal of time and money training teachers. There are three more weeks of al a cart training options teachers can get paid to attend this summer too.